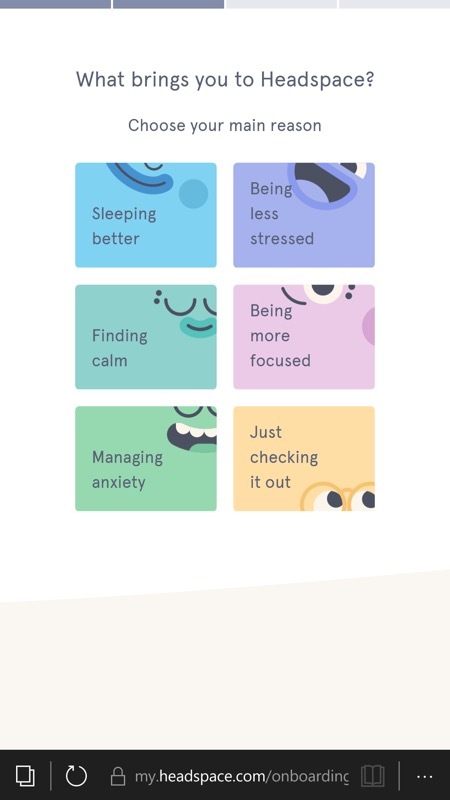 Headspace is a semi-online guided meditation system, available for all platforms but also for Windows 10 Mobile as a PWA (Progressive Web App), as detailed below. It's one of the most sophisticated PWAs that I've seen and it works perfectly under W10M, videos, audio, the works. 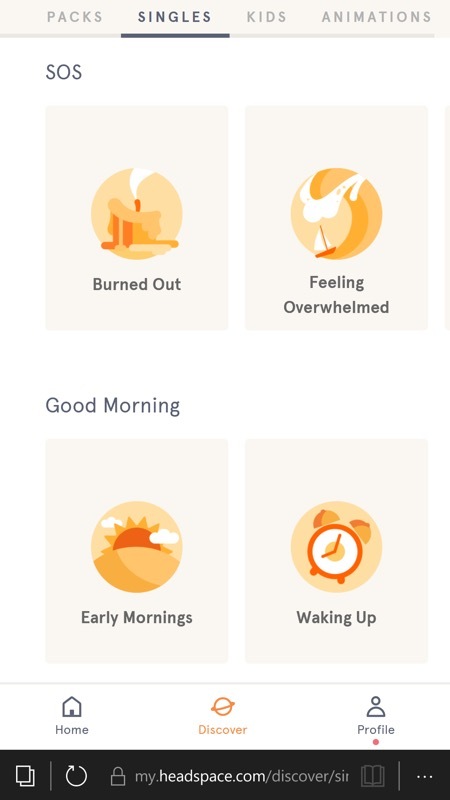 If you're stressed and need help then give this system a go. 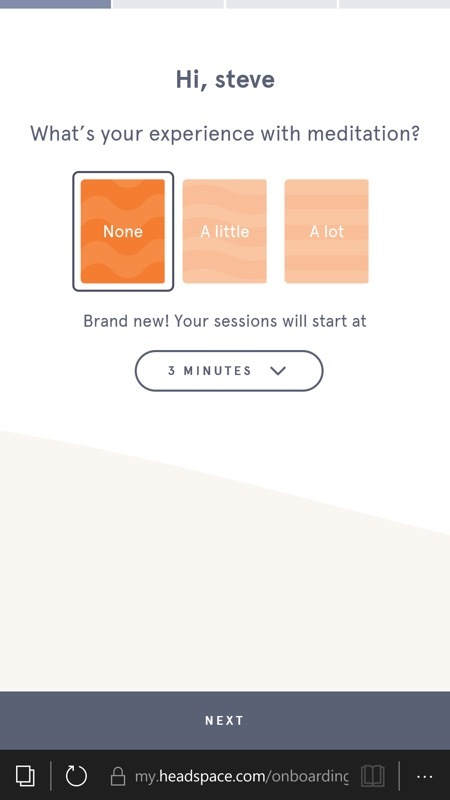 Note that the full library of meditation exercises requires a subscription, but there's loads you can try out and (literally) experience for free. 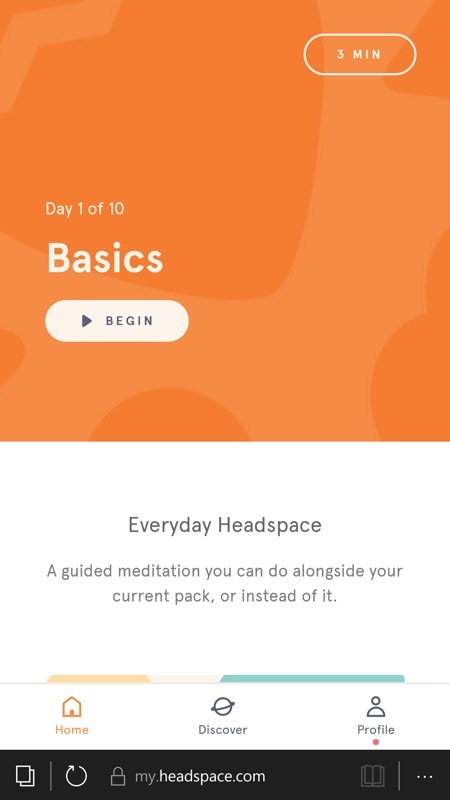 The URL to tap on or type in is www.headspace.com . Of course, you can turn this into an 'app' yourself with PAWA or just pin it 'as is' on your Start screen. It's up to you. If you're confused by the different PWA options then check out my feature here. An extended wizard profiles you, working out where you 'are' and what your goals are for meditation. The idea is to hook you up with the right guided session. 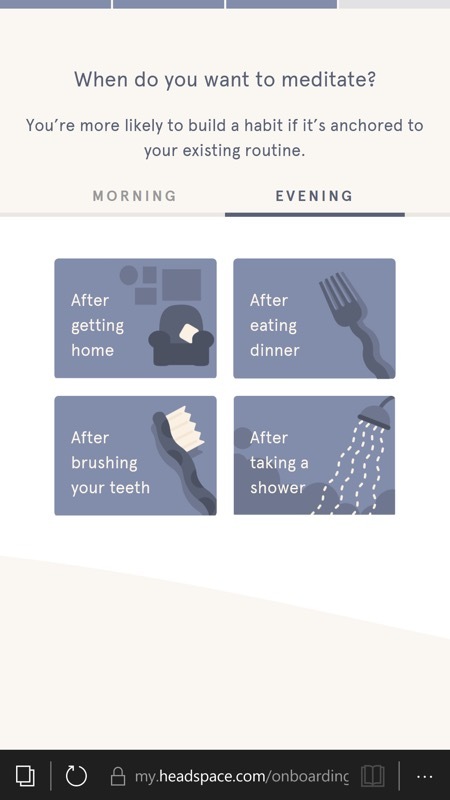 When and how, all getting quite specific. OK enough now, this is getting a little personal! 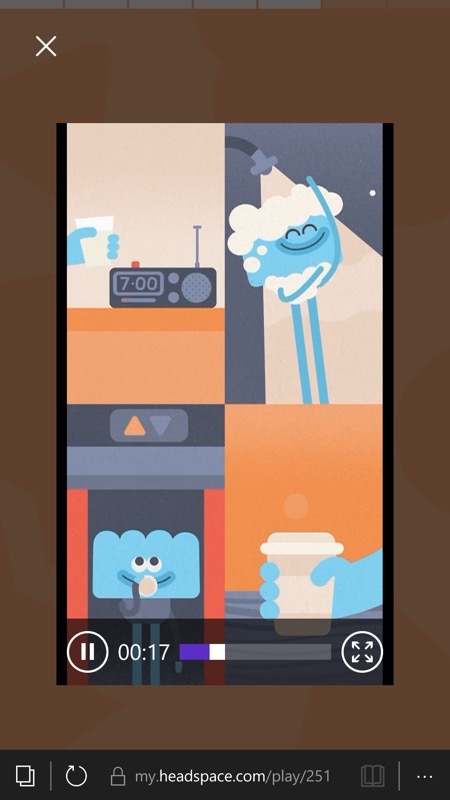 (right) one of the introductory video animations playing in the PWA. And then you're into one of the guided meditations - all the initial ones (and indeed the others that I tried) are free, playing their audio in the PWA interface in Edge under Windows 10 Mobile. 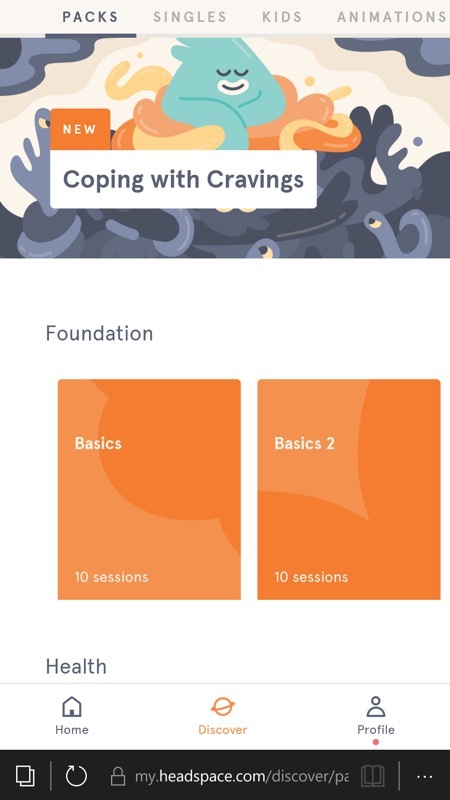 The range of meditations is quite extraordinary, from 'Feeling overwhelmed' to 'Coping with cravings'! 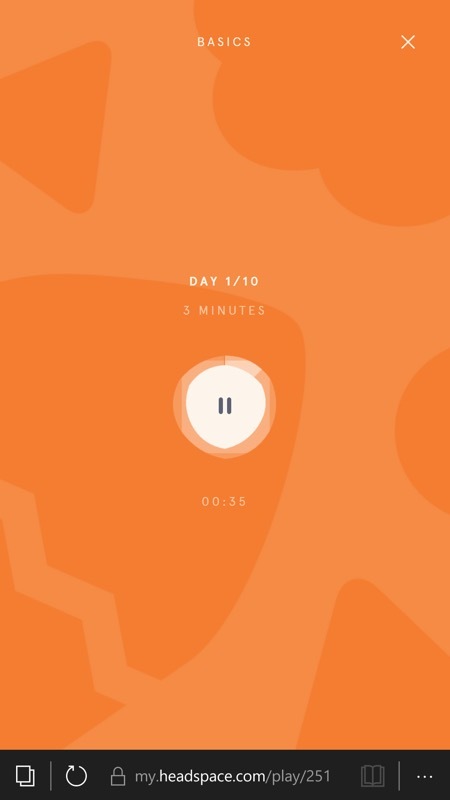 The meditation audio carries on playing in Edge when the phone screen times out, so you can relax and kick off the guide's voice and then relax. The guides are well done, if semi-hypnotic in pace - but then maybe that's the idea. Obviously the guy behind all the videos deserves to be paid, which is why the more advanced audio guides are behind a subscription paywall, but you'll quickly get the idea from all the free content.